Pfc. Douglas V. Weatherman, son of the late Mr. and Mrs. L. C. Weatherman, attended Frederick School and graduated from Altus High School. Entered Marines in 1943, trained in Camp Matthews, Camp Elliott and San Diego, Cal. 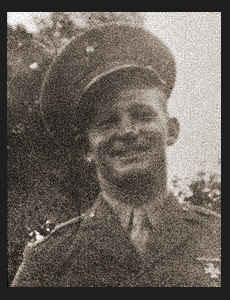 ; served in Guadalcanal, the Marshalls and Guam; was killed in action in uly, 1944, in Guam. Awarded the Purple Heart.